The myriad of information to sift through by customers shopping for Internet service can seem daunting at times. Download speeds, upload speeds, and those dreaded data caps all combine to confuse some consumers, especially when also considering bundles, two-year contracts, and early termination fees. 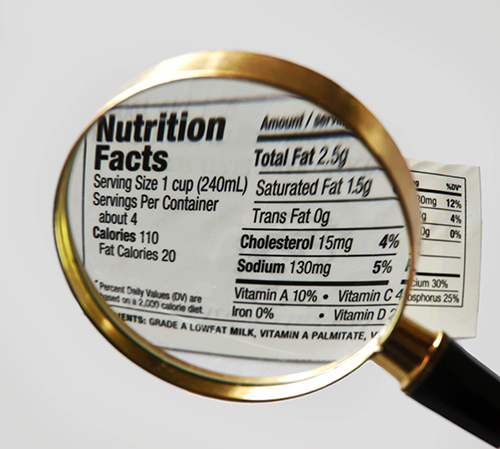 Could the equivalent of a food nutrition label for the Internet make things simpler? Here at Bandwidth Place, we offer an easy to use web page where you merely enter your ZIP code to see deals from Internet providers in your area. Now the FCC hopes to make parsing through ISP information easier with voluntary labels similar to what you see on food products on a daily basis. Let’s take a closer look at these new Internet nutrition labels. A glance at a sample Internet shopping label from the following article reveals a relatively complex listing of information. The design of the label, including the font, reminds one of the nutrition label seen at the grocery store with about ten times the amount of information. The format is the result of a committee made up of consumer advocates and broadband industry groups, in addition to the FCC itself. Under a top heading of “Broadband Facts,” similar to the “Nutrition Facts” heading on food products, the shopper is confronted with a range of information starting with monthly prices for the service, both month-to-month and two-year plans listed if relevant. Also included is the presence of a cap on monthly data and any associated overage charges or speed throttling. Other optional information can include modem and wireless router leases, installation and activation charges, as well as the presence of an early termination fee. The “Performance” subheading contains information of interest for folks who like to run Internet speed tests before enjoying streaming rich media content using their broadband connection. Typical upload and download speeds, latency, and packet loss are detailed within. The rest of the label includes network management and privacy information as well as a number to call to complain about less than promised service levels. The new labels are part of the transparency requirement instituted by the FCC in concert with their recent Net Neutrality ruling. Even though the Internet labels are voluntary, ISPs providing the labels are immune from regulatory action related to those transparency rules. The FCC noted it receives thousands of complaints each year from consumers frustrated with unexpected charges on their Internet service bills. If it all sounds confusing Bandwidth Place is always a reliable source of information. But FCC head, Tom Wheeler, hopes the new labels help to mitigate customer complaints. “It is very straightforward. It’s very clear-cut. Hidden fees have no place to hide,” said Wheeler. Even with a large amount of information contained on the new label, the standardized look hopefully provides customers a more-informed ISP shopping experience.